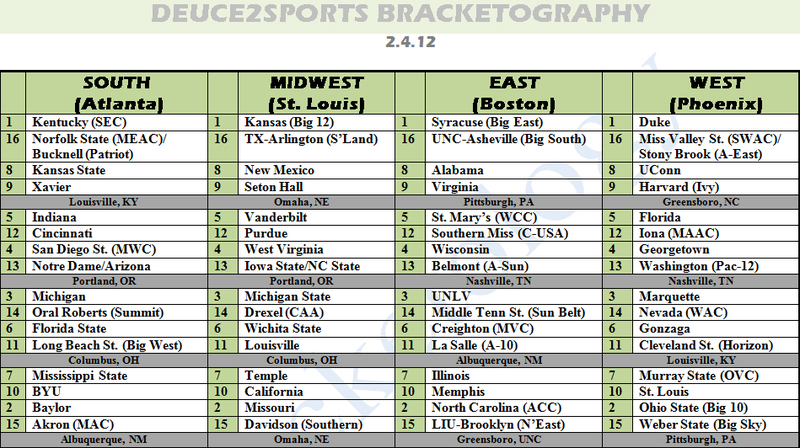 Chris’ weekly bracket projection has given me an opportunity to showcase my opinions as to what could happen in March. Those who follow March Madness closely (and it really is madness) will know that the odds of a perfect bracket are 1 in 9.2 quintillion, or 9.2 with seventeen zeroes after. But the odds of an upset are strictly 50/50, thus repeating the old moniker of ‘anything is possible.' 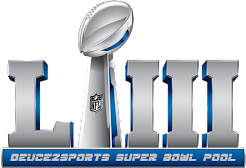 Below are what I believe can be the results, based off the pairings, and some of the great matchups that can take place. 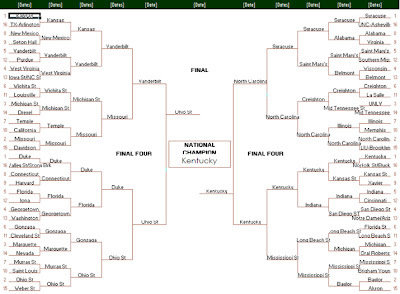 Remember, this is based off if the bracket would be released today, not what will happen. Most surprising upset: I want to say Mississippi State over Baylor, but given Baylor’s recent slide down the polls, this matchup would not be surprising if occurred. 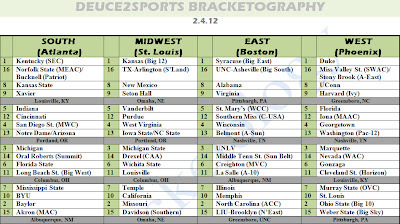 The biggest upset I see is Middle Tennessee State over UNLV. I gave the Runnin’ Rebels much credit for their huge ‘at home’ (Las Vegas Classic in Orleans Arena) win versus then top-ranked North Carolina. Since, UNLV has maintained a top-20 poll position and the top spot in the Mountain West Conference race. Middle Tennessee State’s best win came against Belmont on Dec. 13; they had previously lost to Belmont the previous month in two overtimes, 87-84. The Blue Raiders don’t present a strong non-conference schedule but their balanced attack and deadly shooting (49.5% FG) will give at least one team a problem. Victim: UNLV. Least surprising upset: 13 Belmont over 4 Wisconsin. I’ve watched Wisconsin’s style of play several times this season and the consistent theme from every game: they have a ceiling of 65 points per game. The Badgers’ slow-motion offense can break teams down. That’s why they are second in effective field goal defense. While breaking the other teams down, they also fail to capitalize on their astute defense, causing game results in the 50s. Belmont wins after a missed chance for an upset last year. Dark Horse Final Four contender: As mentioned above, Mississippi State looks on paper to be a team that could make a run. Key UTEP transfer Arnett Moultrie (16.8 ppg, 11.3 rpg), über-veteran Dee Bost, and sharpshooters Jalen Steele and Rodney Hood (combined 39.3% 3pt FG) could make the run to New Orleans if they get hot. Their biggest problem: running the gauntlet. The SEC Tournament along with projections of potential matchups with Brigham Young, Baylor and Kentucky dims the Bulldogs hopes of a trip to the Final Four. Other notable games: 5 Vanderbilt over 2 Missouri (Elite Eight), 2 North Carolina over 1 Syracuse (Elite Eight), 7 Murray St over 10 Saint Louis (First Round), 5 Florida over 12 Iona (First Round), 5 Vanderbilt over 1 Kansas (Sweet Sixteen), 5 Saint Mary’s over 12 Southern Miss (First Round), 8 Alabama over 9 Virginia (First Round). 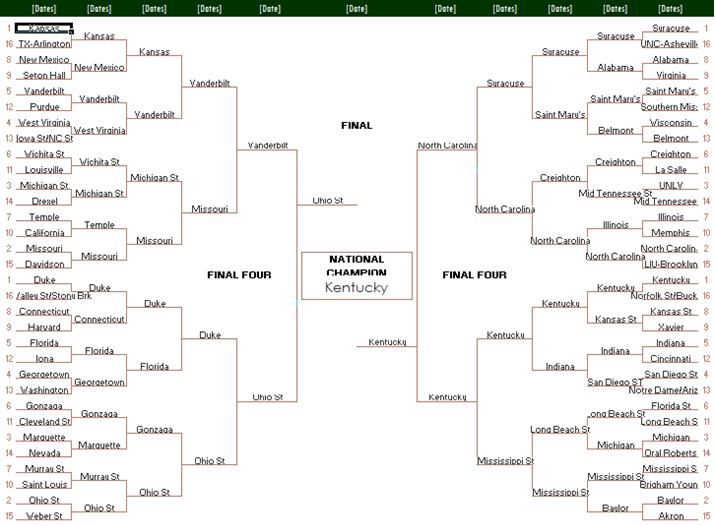 Champion: Kentucky. The Wildcats, so far, have been rolling through their SEC slate. Although top heavy with easy conference games, the Cats have not shied from these confidence building opportunities. This bodes well for their remaining schedule, which includes: Florida (twice), Vanderbilt (twice), and at Mississippi State, where confidence and top level play will be needed. Bottom line: The ceiling for Kentucky remains higher than any other one or two seed in the tournament. The balanced attack on the offensive side (five players with at least 10.0 ppg) combined with the best field goal defense nationally (36.0%) and team blocks (9.35 per game), they are the toughest out in the field—currently.